Its funny when you see misunderstandings between people in a family or between friends ultimately leading to fights. People start fighting over simple issues. They don’t realize it’s the way they think and they try to win their thoughts. Both may be right in their own perspective, but they can’t accept each others view. Rather than trying to understand, they try to argue and win over their thought and in that process use words that hurt others. Like the saying goes, some words when spoken can’t be taken back, some people can’t forget what other said long back. Whenever there is an argument, they bring up all the old topics to make the atmosphere even more worse. I think the only solution is to have more patience and try to see from others shoes. Then you might see that yeah! it can happen that way as well or what he or she is telling is also logical. And you can let the other person know about your views as well, if he or she is willing to listen. If a person is not even trying to understand what you have to say and keeps arguing to win his or her thoughts, then I don’t think there is any use in discussing that subject unless you want to ruin the atmosphere. This was after a long time, I think it’s been over a year, since I went out with friends and explored some places around. 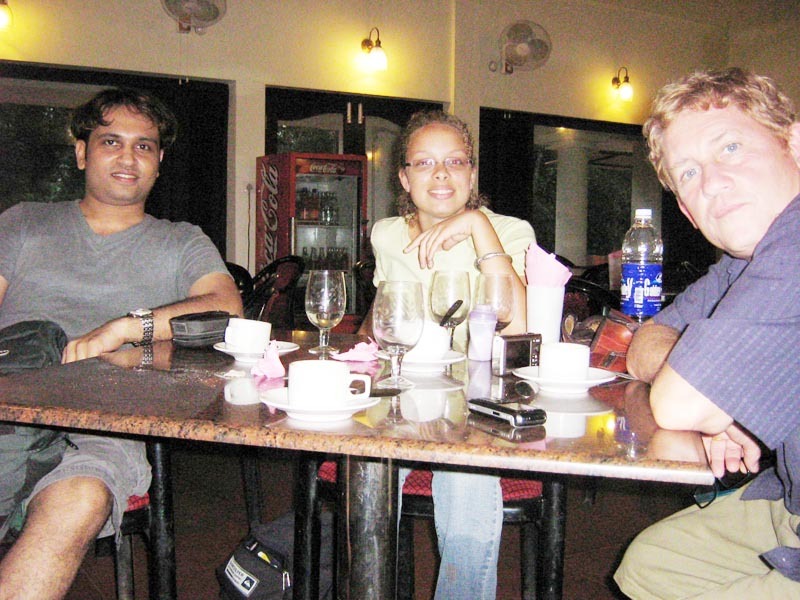 One of my close friend, Alain from French Guiana (French Colony in Northern coast of South America) came down to meet me in Kerala. So, for the past 2 days I had a great time with Alain and his daughter Solan. 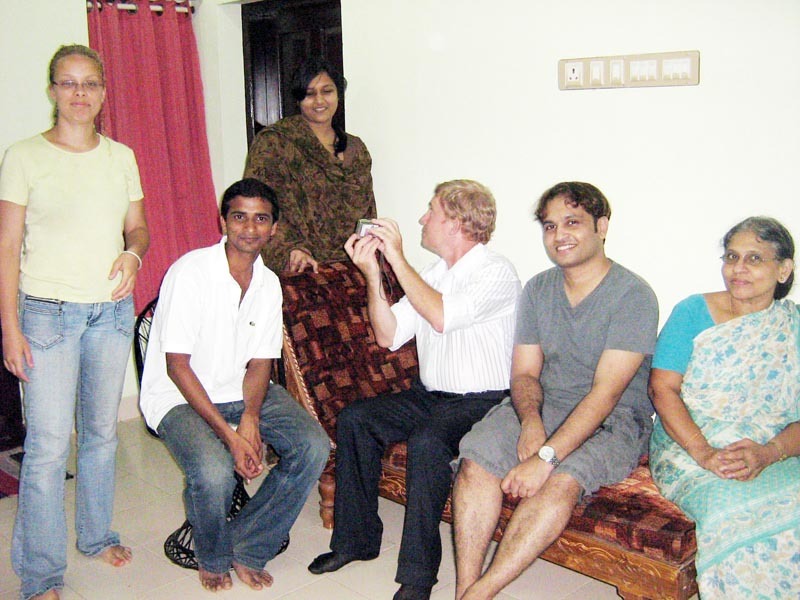 They met my family and we visited few places in and around Kannur. Check out some of the snaps that were taken from home when they arrived. 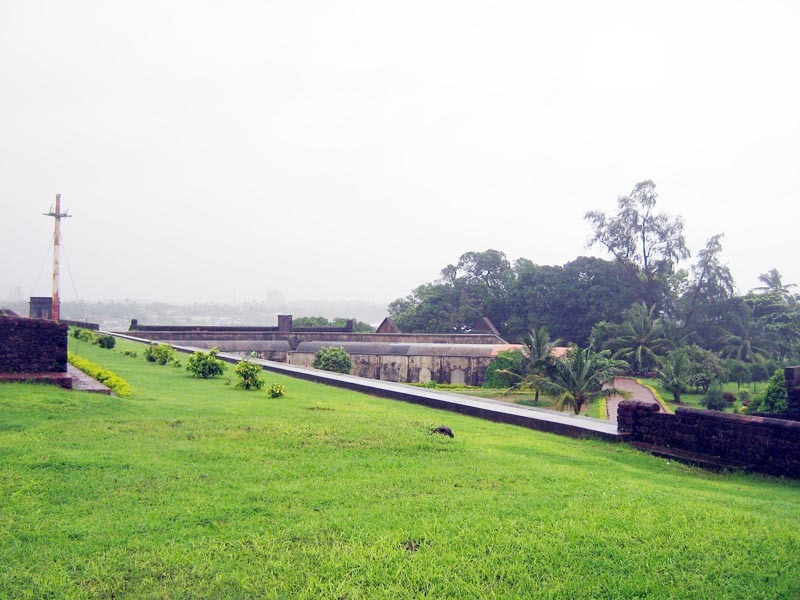 This fort which is also known as Kannur fort, is a massive one built by the first Portuguese Viceroy, Don Francisco De Almeida in the year 1505. It’s a massive triangular laterite fort filled with moat and flanking bastions and is on the Arabian Sea about 3Kms from Kannur town. This fort changed hands several times. 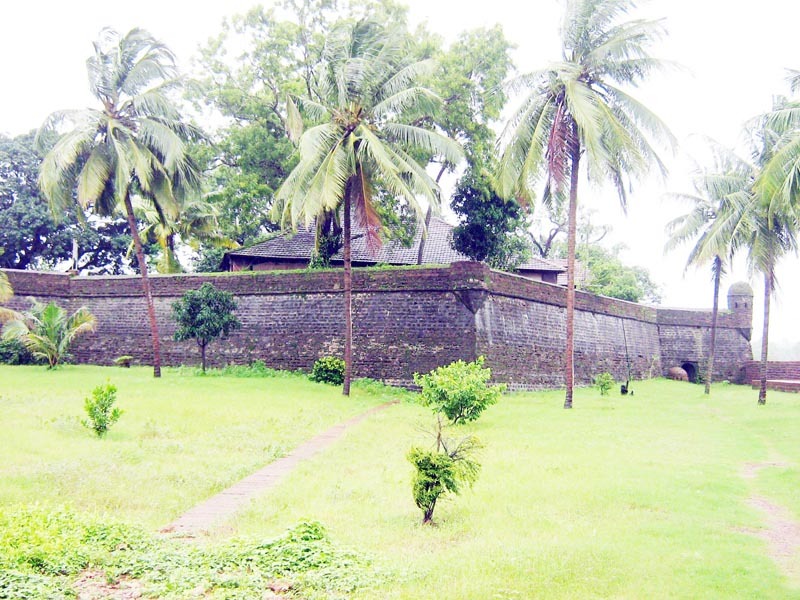 In 1663, the Dutch captured the fort from the Portuguese and later sold it to Arakkal Royal Family, Ali Raja of Kannur in 1772. 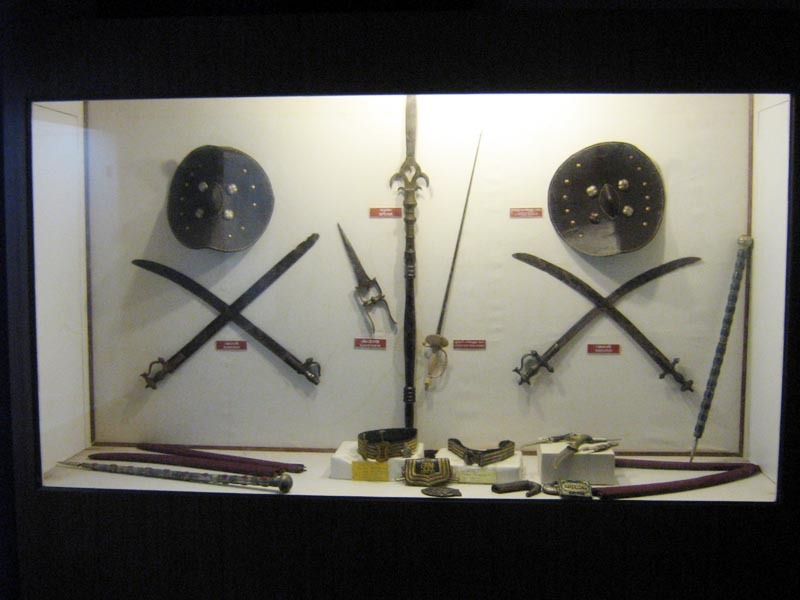 In 1790, the British seized control over the fort, renovated and transformed it into one of their major military stations on the Malabar Coast. 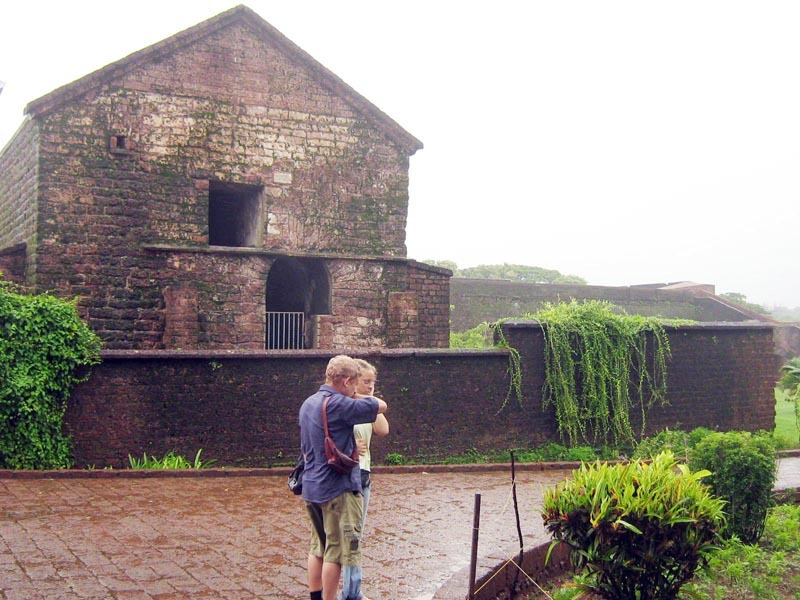 Today, St. Angelo’s Fort is a protected monument under the Archaeological Survey of India. The fort is a magnificent structure with massive walls and a deep moat. The fort is situated very close to the sea and is separated from the sea by a strong sea wall. 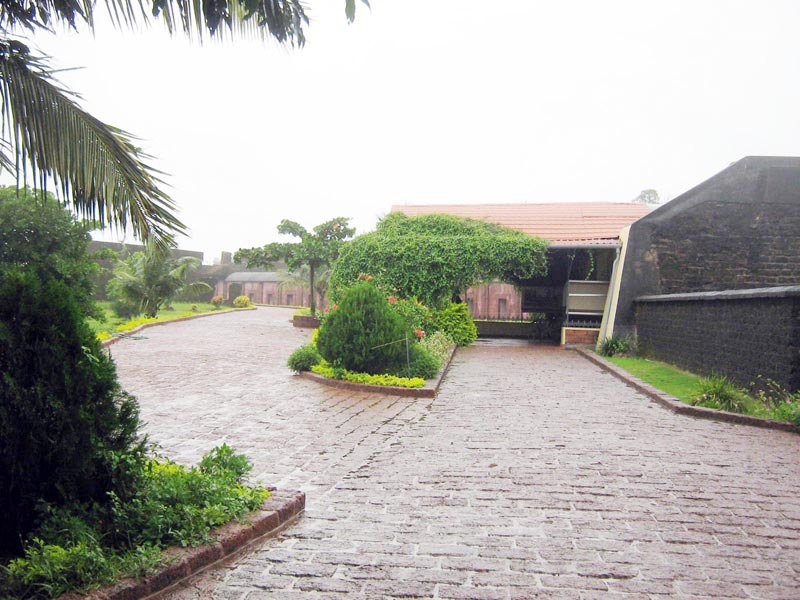 The fort offers a fascinating view of the Moppila Bay and Dharmadom Island. Dharmadom island is only 5 acres in area and is situated 100 meters away from the mainland in the Arabian sea. The Moppila Bay is a natural fishing bay. A sea wall projecting from the fort separates the rough sea and inland water. 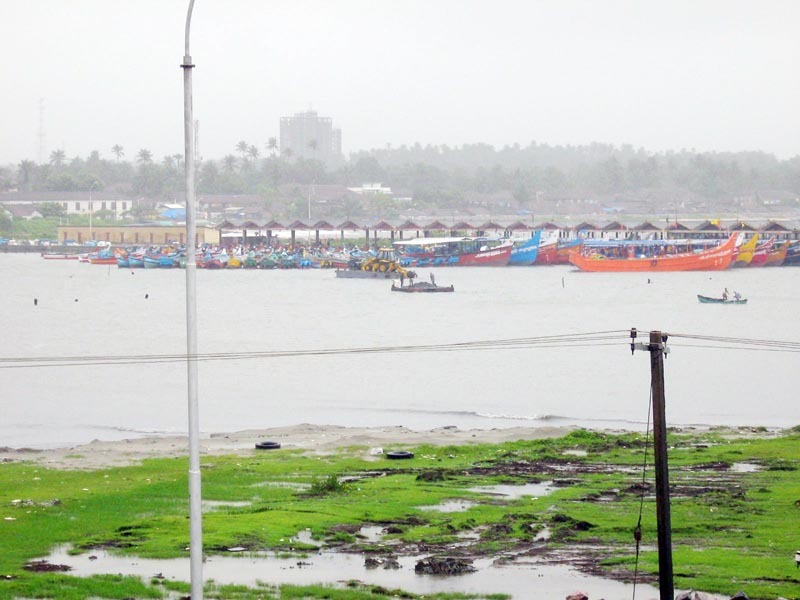 The bay has now turned into a modern fishing harbor, developed under the Indo-Norwegian Pact. 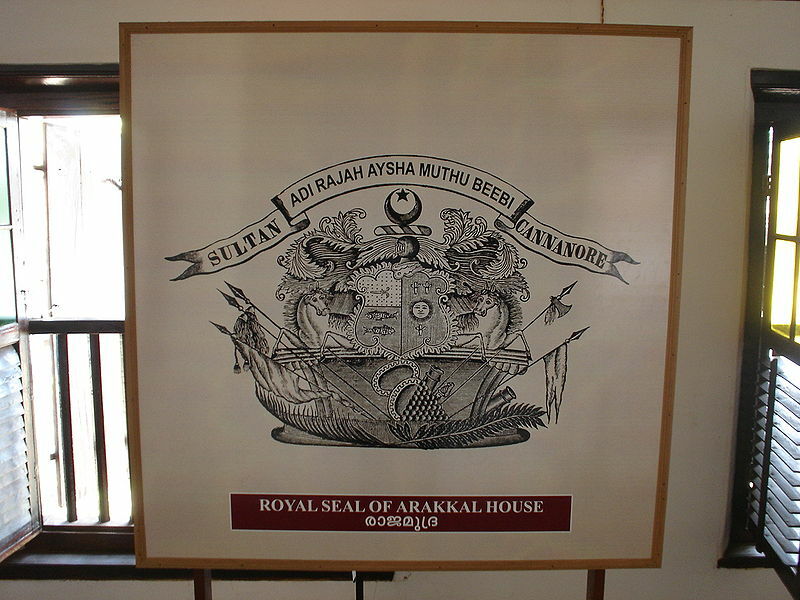 The Arrakkal Museum is a museum dedicated to the Arakkal family, the only Muslim royal family in Kerala, south India. 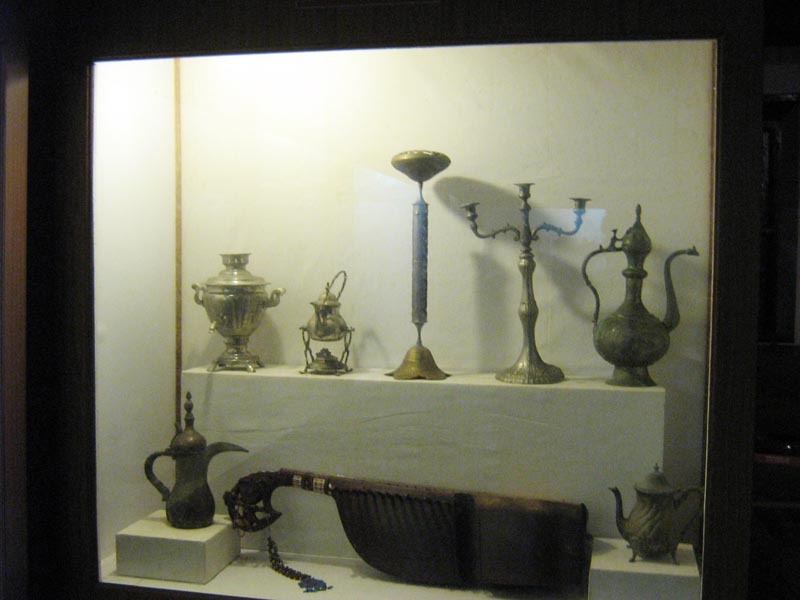 This museum is a very unique in its kind and displays good colections of Royal Kingdom. 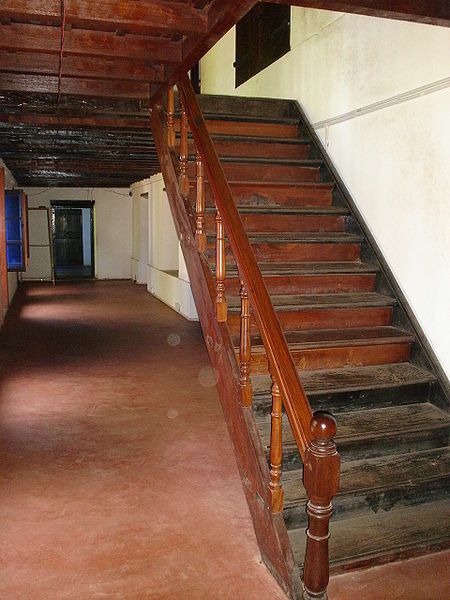 The museum is actually a section of the Arakkalkettu (Arakkal Palace). 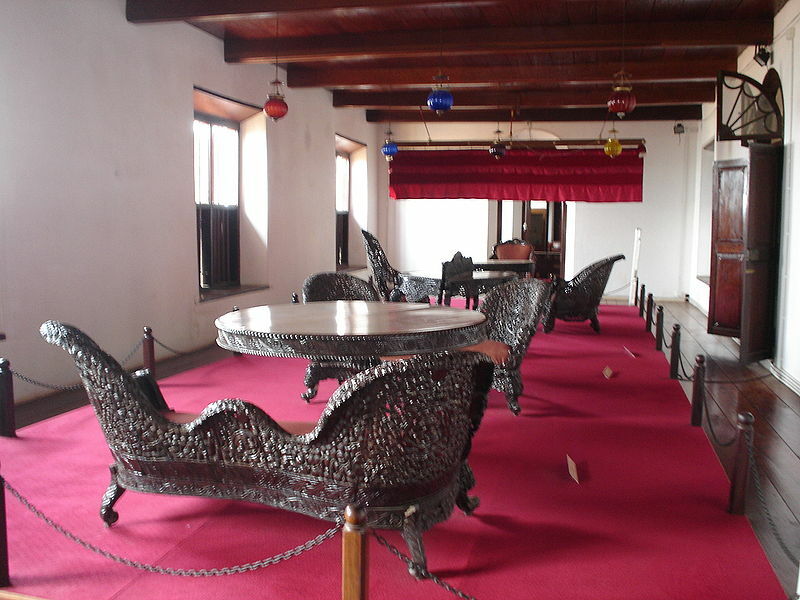 The durbar hall section of the palace has been converted into a museum by the Government of Kerala. 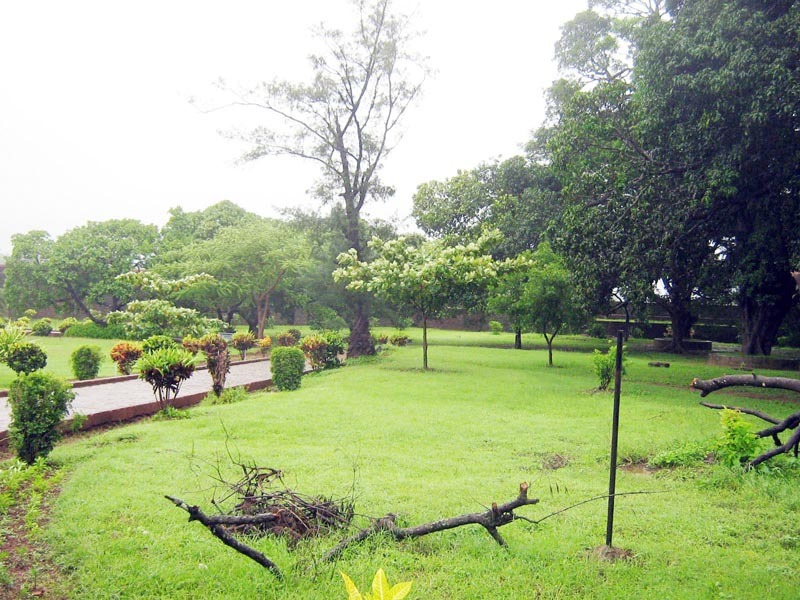 It was opened in July 2005 after spending 9,000,000 rupees for renovation. Although renovated by the government, the Arakkalkettu is still owned by the Arakkal Family Trust and does not fall under the control of the country’s archaeology department, the Archaeological Survey of India. 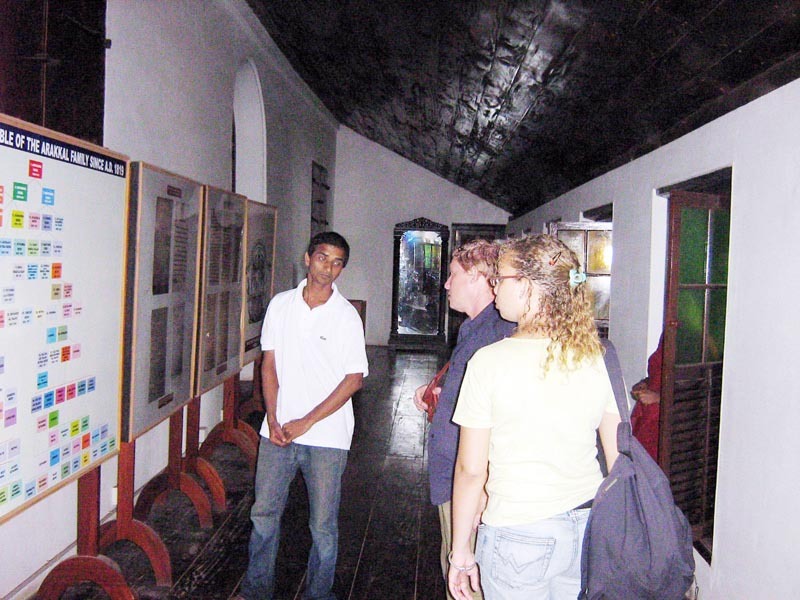 The government had taken a keen interest in preserving the heritage of the Arakkal Family, which had played a prominent role in the history of Malabar. 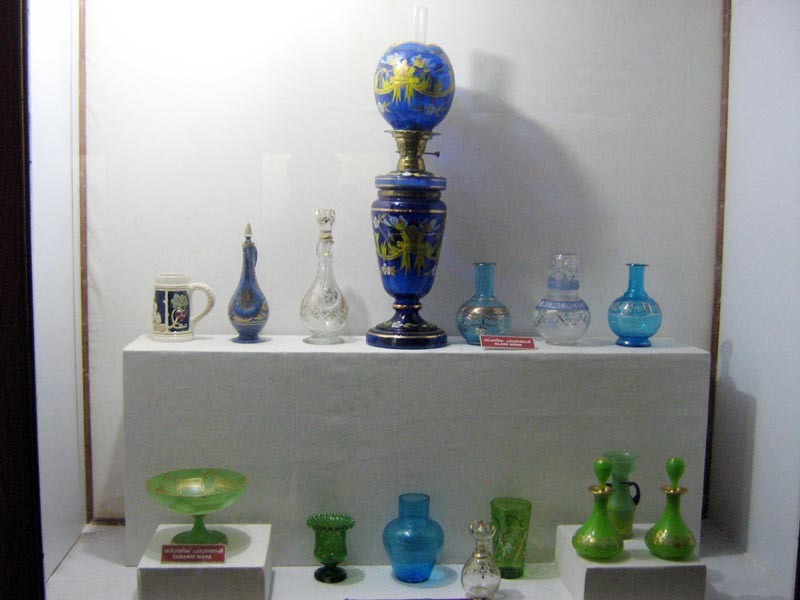 A nominal entry fee is charged by the Arakkal Family Trust from visitors to the museum. 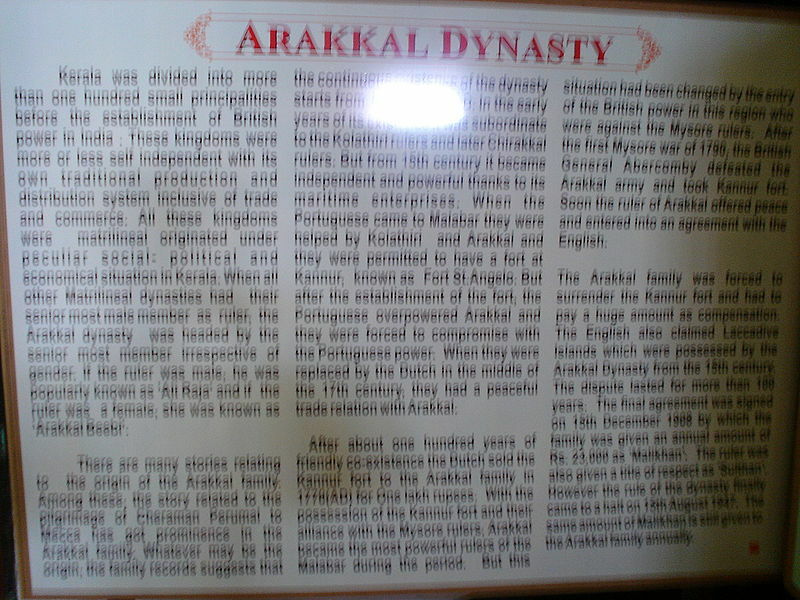 Got interested in the story of Arakkal Family and i am just pasting some info on this family from the website e-malabari.net. 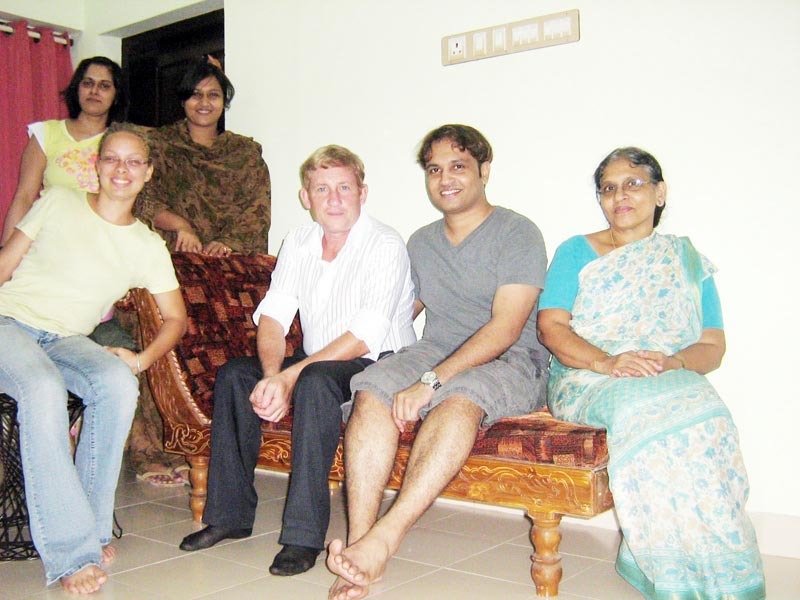 Kerala’s only Muslim kingdom was Kannur’s Arakkal family. 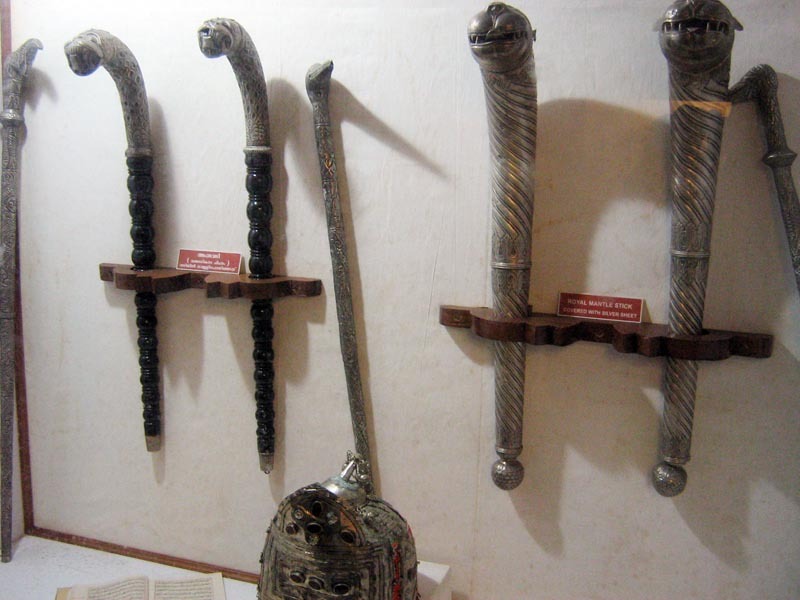 Historians disagree as to the time period of Arakkal rulers. 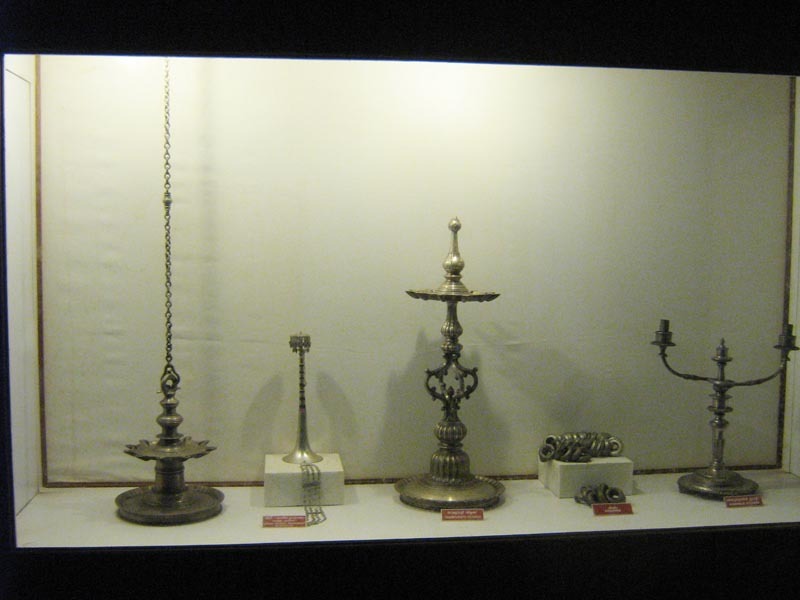 Some claim that ancient coins date back from the Arakkal rulers to the 8th century. Kerala historian Mr. A. Sridhara Menon seem to believe that the Arakkal kings came to power in 16th or 17th century and issued their coins at the earliest in the 18th century. One of the rulers that presided over the kingdom was Junumma Beevi who ruled for 49 years. By 1909 Arakkal rulers lost Kannur (Cannanore) and cantonment area. 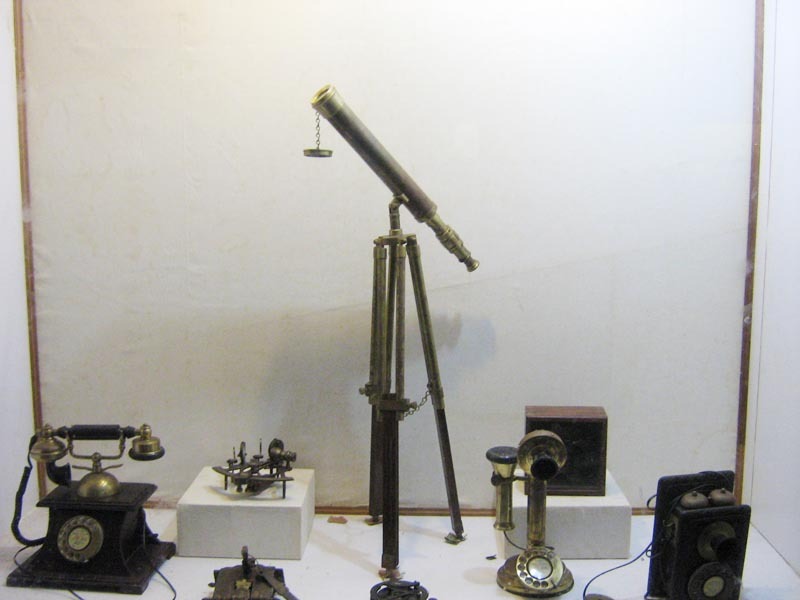 By 1911 there was further decline with loss of "chenkol and udaval". During those years they allied and clashed with the Portuguese, the Dutch, the French and the English. 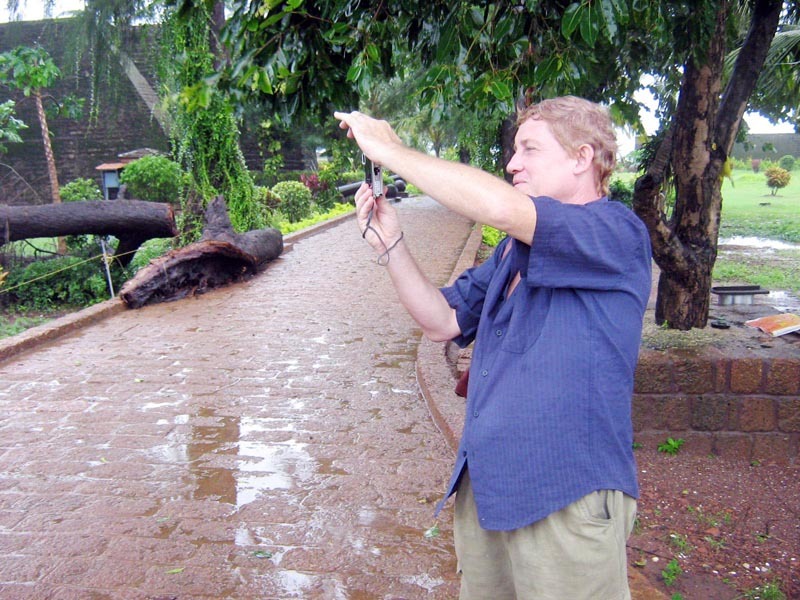 The British played the biggest part in removing all vestiges of titles and power from the Arakkal rulers. One of the last kings Arakkal Abdu Rahiman Ali Raja (1881 -1946) was active in helping his subjects. The last ruler was Ali Raja Mariumma Beevi Thangal. After her time the family broke up. Centuries back Kolathu Nadu (present Kannur district and near places) was ruled by Chirakkal Raja. While taking bath in a nearby pond, the daughter of the then ruler was drowned. Seeing this her friends cried and shouted. They were unable to rescue her. By the same time a Muslim boy walking nearby heard the shouting and went to see what was happening. He saw a girl was drowning in the pond. He knew it was the princess but at first he hesitated to save her because at that time there was untouchability practiced in Kerala. That means if a lower cast person touch a higher cast person it was considered as a sin and some times he may even lose his life. The boy anyway jumped in to the pond and saved her. But she was not having her dress and she was naked. Seeing this the boy gave his "mundu" — a long cloth used to cover the lower part of the body. When this news reached the ruler, he called both her daughter and the Muslim boy to him. The boy was so afraid that he thought he will lose his life. As per the custom in those days, if a man gives a "pudava" (a long cloth used for covering body) to a unmarried woman, it is considered as they are married. The elders and religious people advised the ruler that, two thing happened here, one is the kings daughter was touched by a Muslim and the second thing was a boy gave "pudava" to his daughter (by giving boys "mundu" to the girl), meaning that the daughter cannot enter the palace anymore and so she got married by the Muslim boy. As per the custom the ruler had no other choice but give her daughter to the Muslim boy. The Raja was unhappy to give his daughter to a poor family, so he gave the boy some part of his country, and made him the ruler of that part. 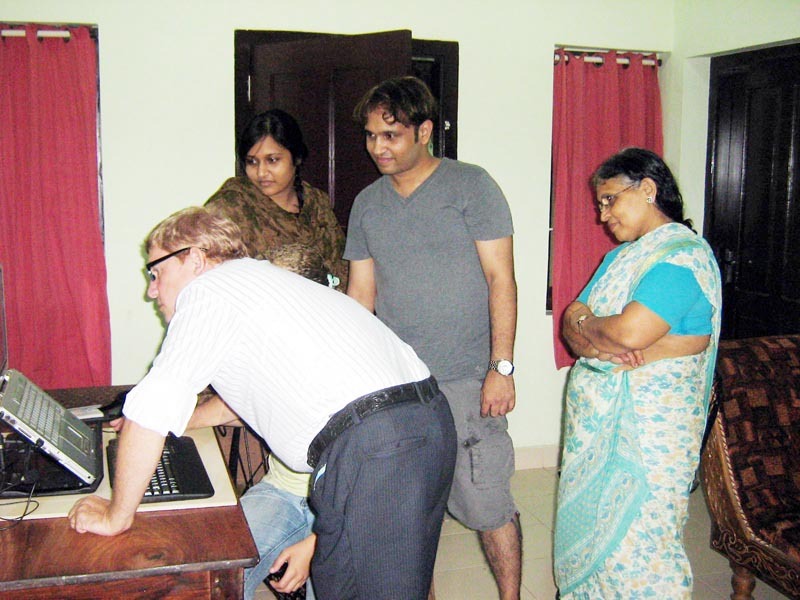 The area which was given to the boy was then onwards known as Arakkal and his family, Arakkal family. 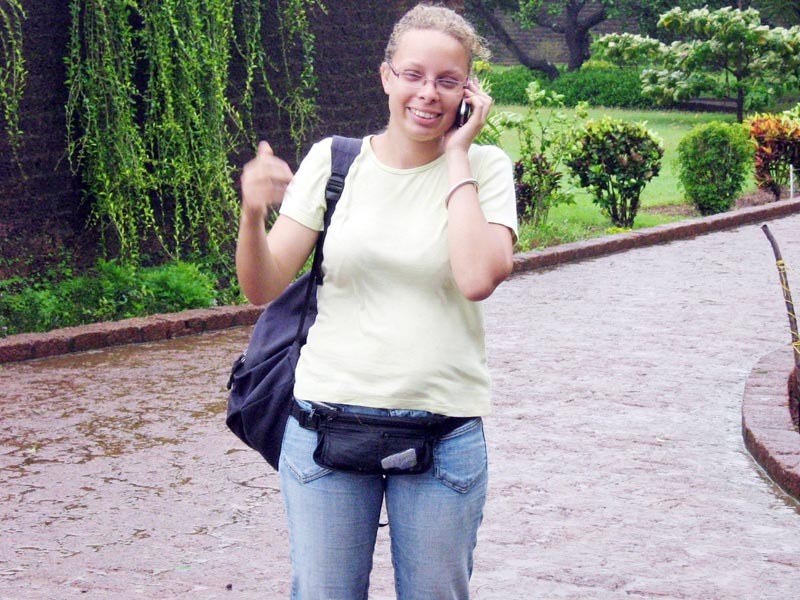 The ruler’s daughter was known as Arakkal beebi. I am kinda excited. Alain, my friend from South America, is coming down tomorrow at my home. He will be here for a day or two.